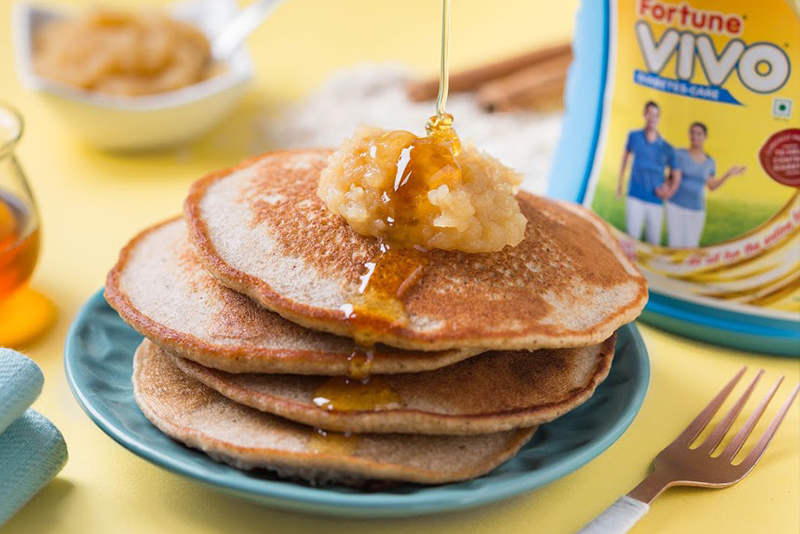 Applesauce Pancakes: Satisfy sweet cravings and keep diabetes at bay! Are you a dessert lover who is constantly worried about your blood sugar level rising each time you indulge in one? Worry no more! Fortune VIVO Buddy has the perfect recipe for you! 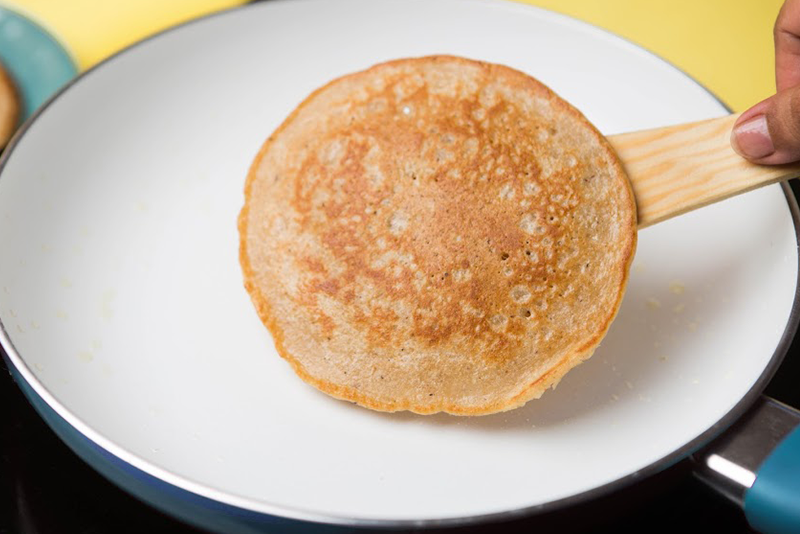 Presenting a scrumptious delicacy with oodles of health benefits: The Applesauce Pancake. 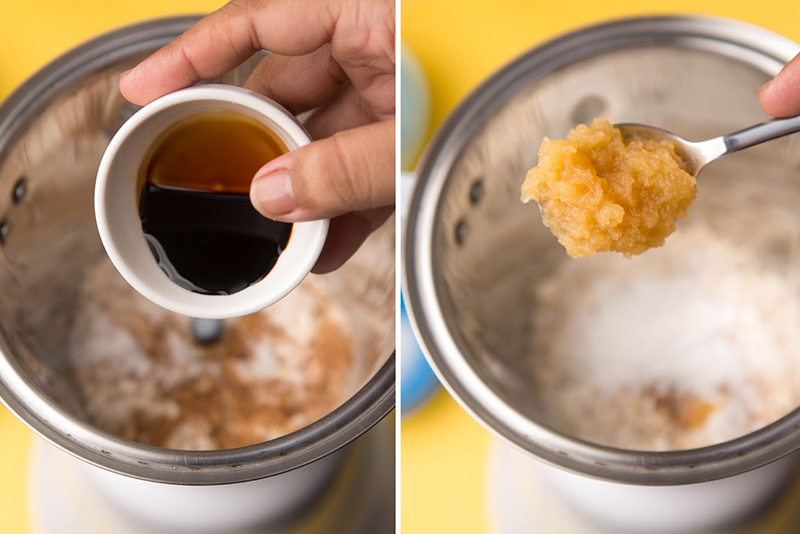 With fibre-rich oats, almond milk and honey this will satisfy your sweet cravings without disrupting your diet. It also has cinnamon and applesauce which will keep a check on your blood sugar levels. So what are you waiting for? 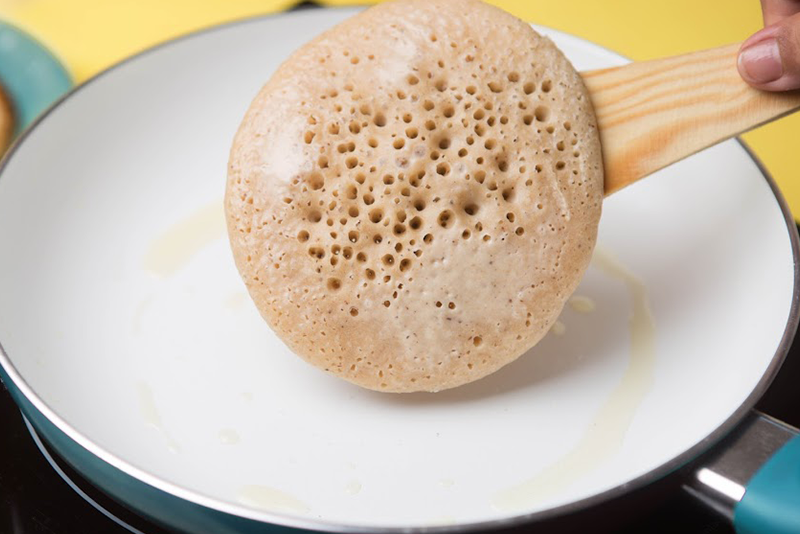 Check out our step-by-step guide below to prepare these lovely pancakes. #1 Let’s begin by getting all your pancake ingredients together. #2 In order to blend, first add in oats, cinnamon, salt and baking powder. 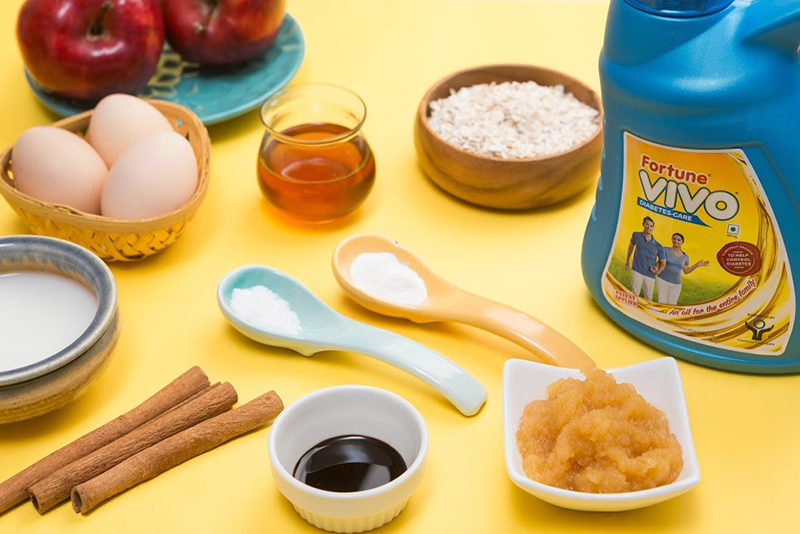 #3 Then bring in the honey along with almond milk, vanilla extract, honey and egg whites. Lastly, add in the applesauce. 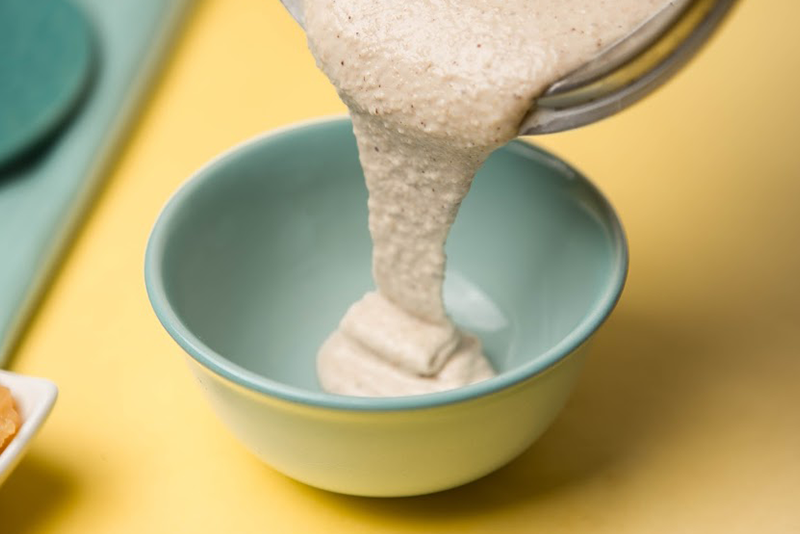 #4 Make sure to blend them until the pancake batter is smooth and creamy. Taste karke dekhoge? 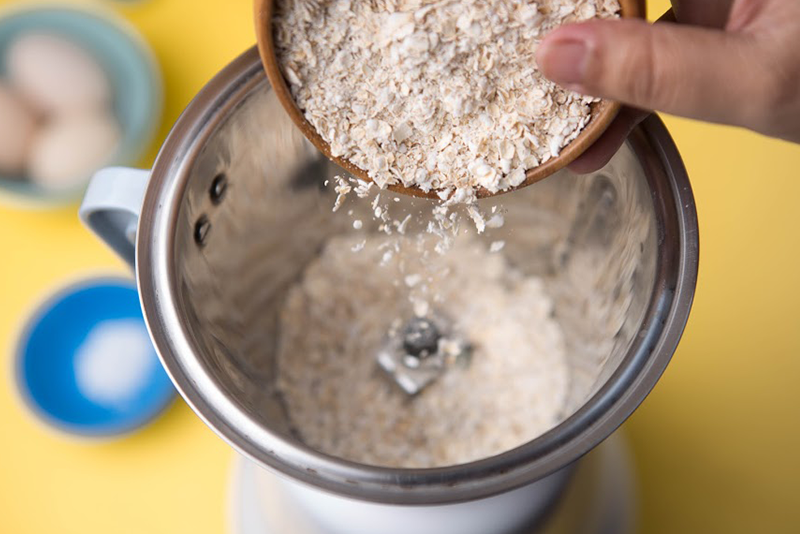 Don’t forget to pour this batter into a bowl and let it settle for a few minutes. This will make it nice and thick. #5 All done? 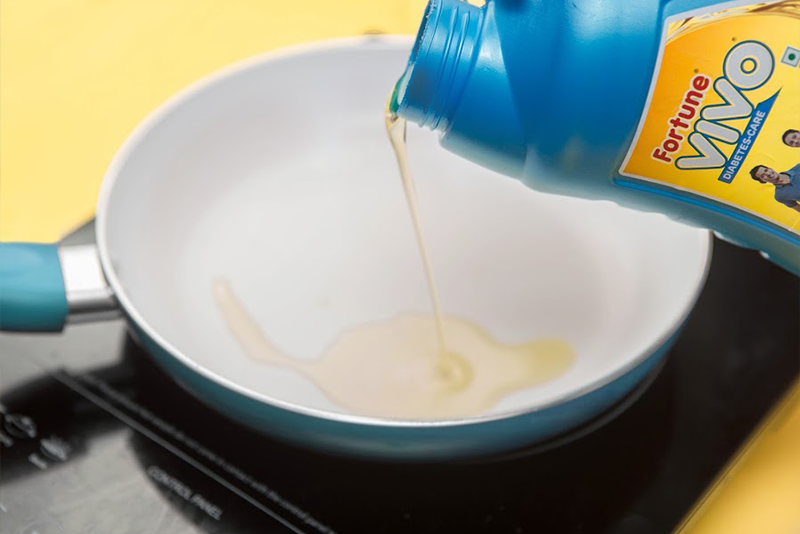 Now, heat Fortune VIVO Oil in a large non-stick pan. #6 Pour 1/4th cup batter in the pan and cook until bubbles appear on top, for about 2 minutes. You’re about to create something very tasty! #7 Now, for the perfect pancake, cook on both sides until they are golden brown. #8 Serve the hot n' fluffy pancakes drizzled with honey and a dollop of peanut butter. Yummm! VIVO Buddy Tip: If you are a chocolate person, you can add raw cocoa powder to the batter instead of applesauce.